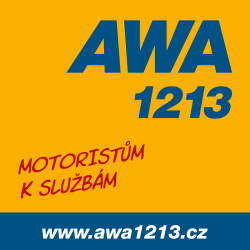 AWA1213 s.r.o. provides assistance services which can help you get to your destination without any needless complications and costs. We can help you to resolve the problem with your vehicle whether this concerns a traffic accident or a breakdown. If at all possible, we will repair the vehicle directly on the road. If not, we will tow it to a service centre, arrange for its repair, a replacement car, alternative transportation or accommodation. The basis for ensuring our clients’ satisfaction is constituted by four solid pillars on which we continuously develop our activity. We provide all services 24 hours a day, 365 days a year throughout the whole of Europe via our call centre on +420 222 551 144. The professionally trained team at AWA1213 s.r.o. is always helpful and permanently ready to help motorists in trouble. We offer a carefully established network of service providers which must meet high demands on quality of services. We in particular strive to ensure constant improvement of our strategically conceived network of services providers in such a way that the call-out times to clients in trouble are as short as possible. We offer reasonably priced prepaid services to the general motoring public in the form of assistance cards. Partner programmes are the ideal choice for companies. Via these, they can for example offer assistance services as a benefit to their clients or provide security for their vehicle fleet. The running of the company is ensured by a carefully selected and specially trained team with a wealth of experience from the specific field of assistance services for motorists. Services are provided 24 hours a day, 365 days a year throughout the whole of Europe via our own extensive technical facilities and network of contractual partners which meet strict requirements and demands on quality.